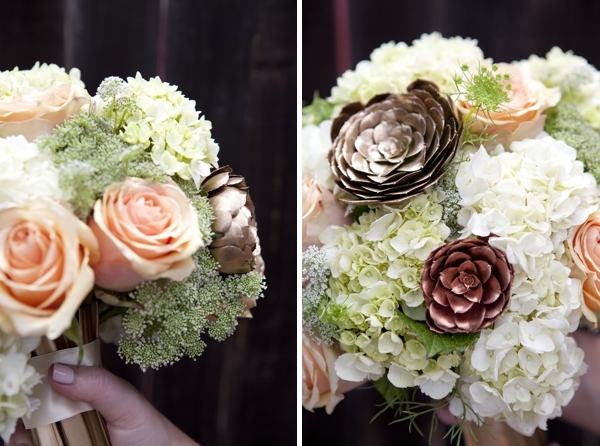 Today we are sharing a super fun, modern and metallic twist on a winter wedding bouquet! The bold handle (made of spray painted leaves) makes a huge statement while the touches of gold succulents are a whimsical feel that brings in glamour! Jacki from Floral Design by Jacqueline Ahne has done it again! We are in love, aren’t you!?! AVAILABILITY // Guess what!!! 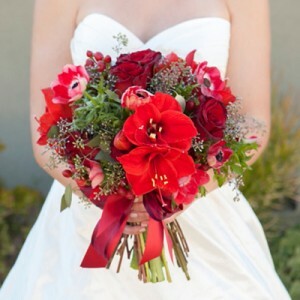 This bouquet can be created year round ~ hooraay!!! 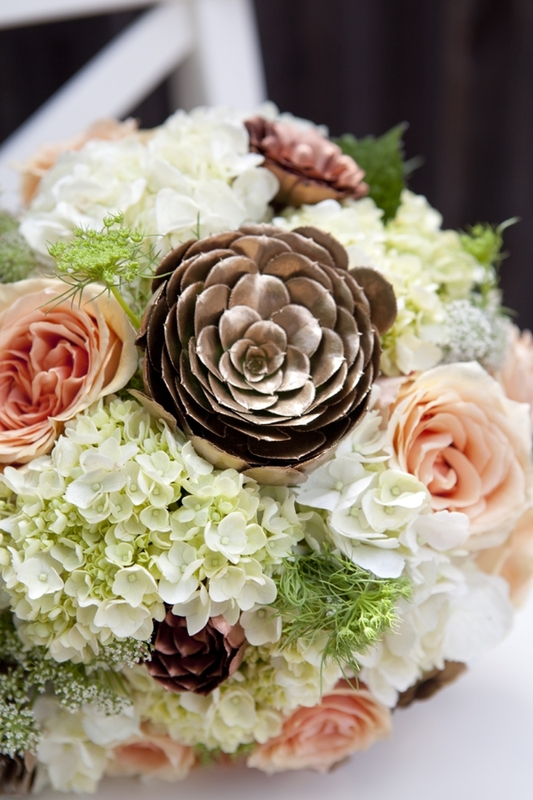 A different feel can be achieved by switching the colors of the hydrangea and roses. Pink hydrangea and orange roses would be a fun spring look while blue and lavender would be a more jewel tone fall look. 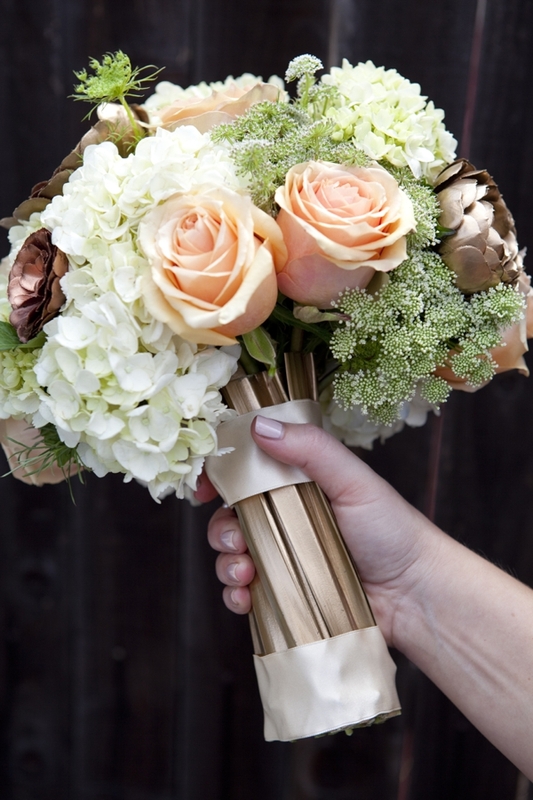 There are so many different options for this bouquet… don’t forget that metallic silver can be a replacement for the gold! CARE // Hydrangea is very water sensitive especially during hot summer months. It is definitely best kept in a small amount of water until ready to be used. 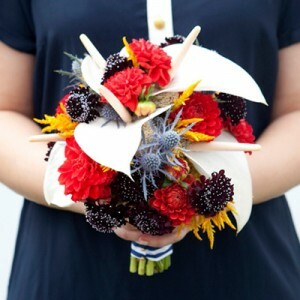 Another option would be to create this bouquet in a bouquet holder and keep in a cooler. 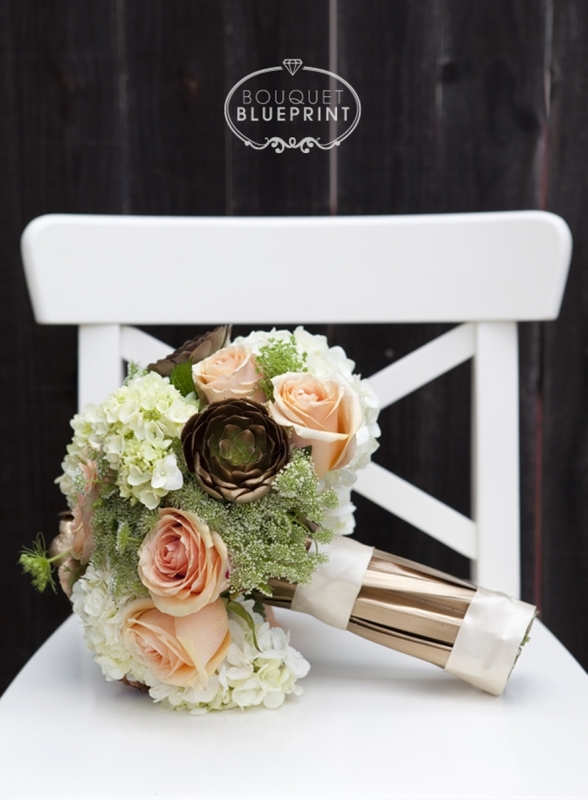 BOUTONNIERES // From traditional to modern there are many options to coordinate with this bouquet. 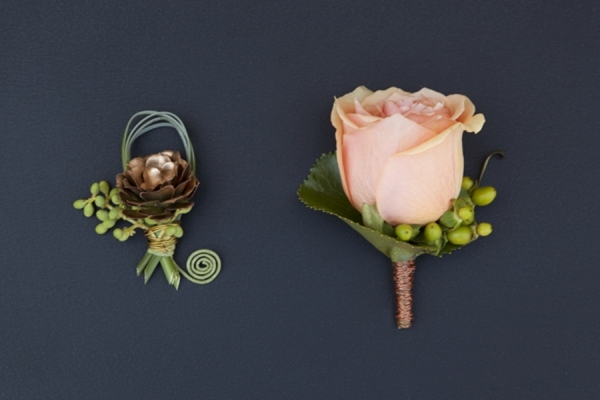 Shown on the left is a small modern boutonniere created from a painted succulent, berries and looped grass. 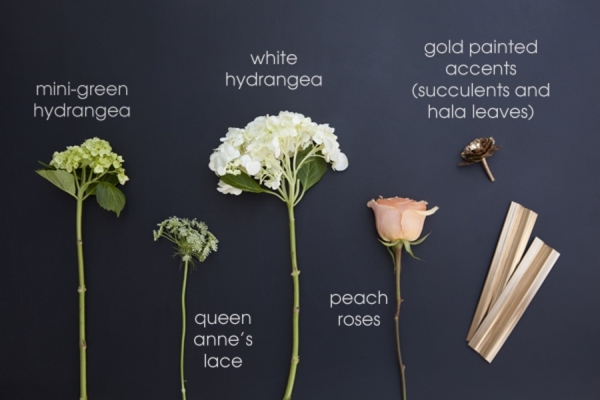 For a more traditional boutonniere, a rose can be accented with wire on the stem to bring in the metallic feel without being overpowering. What a beautiful bouquet! Love the painted succulent idea. This is gorgeous and so unique! 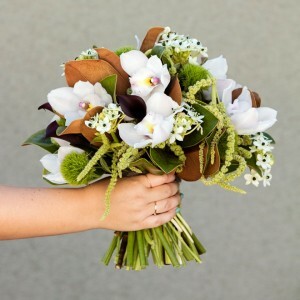 So beautiful and attractive bouquet for wedding!